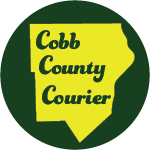 Cobb County News and Information — The Cobb County Courier is a local independent online news site covering Cobb County. We specialize in community-focused news that has a direct impact on the quality of life of the people of Cobb County. We value hearing from our readers. Thank you for visiting, and please drop by frequently. Feel free to leave comments under our articles, as long as you exercise simple courtesy. Racist, sexist, abusive, or otherwise uncivil comments will be removed. We strive for accuracy, but mistakes are inevitable. If we discover an error, or an error is pointed out to us, we will correct the error and acknowledge the mistake in a prominent place in the article where it occured. We also track our traffic using Google analytics. While analytics does not make your personal data available to us, it does aggregate anonymous data such as location and demographic information.